Book review of The Vertigo of Late Modernity by Jock Young (Sage, 2007). Please cite as: Deflem, Mathieu. 2011. Review of The Vertigo of Late Modernity, by Jock Young. Unpublished review. Available exclusively online at www.mathieudeflem.net. This book review was originally solicited by the editors of the journal Sociological Inquiry. It was submitted in September 2008 and accepted for publication by the journal's review editor. I was informed that there would be some delay in publication because of space constraints. After a change of editors at the journal, the review was still not published by August 2011. Upon my inquiry by email about the status of my review, the new journal editor informed me that my review would not be published because of alleged substantive considerations concerning my discussion of the merits of the work under review. I leave it to the reader to draw appropriate conclusions. I enjoy writing reviews of books, but I do not always enjoy the books I review. I must also admit that I often enjoy writing reviews of books I do not enjoy reading, though sometimes I do not. There is a certain measure of irony in this experience, but I do not think it is particularly dizzying. I did not enjoy reading The Vertigo of Late Modernity by Jock Young, who presently holds academic at the University of Kent and at John Jay College, and I will make it (very) clear why. Most basically, this book presents itself as a sweeping study of the conditions of our present age, but it actually fails to offer a question which it wishes to address. It is not a characteristic of the condition of late modernity that no clarity in formulating questions and suggesting directions can be expected from its observers. Yet, from the very beginning of this text, a multitude of often rather vague questions is introduced. At one point this book is about ‘cultural borders’ (p. 1), then it deals with a politics of hiatus (p. 11), and then eventually with late modernity’s vertigo, here defined as a ‘sense of insecurity of insubstantiality, and of uncertainty, a whiff of chaos and a fear of falling’ (p. 12). I would say there is quite more than just a whiff of something very unpleasant in these pages. What are the themes that this book deals with? Young begins with a discussion of processes of inclusion and exclusion to show how both are intertwined. Applied to economic and other inequalities, the emphasis is mostly on the underclass, the members of which are subject to a double stigmatization of poverty and a lack of respect. But as meritocracy crumbles, a search for a new politics of identity is on the rise. Work is devalued for those who cannot but serve the middle classes and others who are higher up on the socio-economic ladder. In matters of crime, the underclass also gets the brunt of all the blame. Economic poverty breeds criminality, and new moral panics over criminal epidemics are created and sold to the public. A process of othering, as Young calls it, is applied as well to immigrant groups and, of course, to the terrorist who comes from outside the Occidental world. 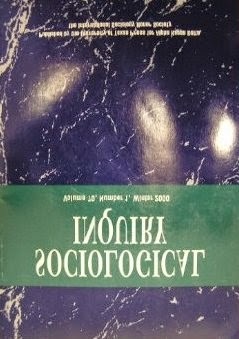 How to evaluate this book? A clear line of thinking can be discerned in the development of Young’s work, from the initial promise of a critical criminology in the 1970s, through the demise thereof during the 1980s and 1990s in the form of a cunningly constructed left realism, to the present phase of works that are (by definition) much harder to define. It is within this trajectory that we find Young’s present story —a narrative, I suppose— which deals with so-called liquid modernity, in which all is in flux and motion. Nothing is clear. Everything is ambiguous. Social theory is easy under these circumstances, for it can never be wrong, let alone falsifiable or more or less valuable. And the manner in which the presumed ambiguities of nowadays are conceptually addressed cannot reveal clarity either. If the 19th century was an age characterized by an avalanche of numbers, the present time has brought about a deluge of buzz words. Paradox, contradiction, disembeddedness, fluidity, and othering, to name but a few of those that are encountered in the pages of Young’s book. The essence of the story, if there is one to be discerned, is that in the global era of today things are always changing and nothing stays the same. While flexible and filled with the potential for reinvention, late modernity also brings about ontological insecurity, Young writes. But apparently these conditions do not hold true for its critics, for they are secure more than ever in both their work and their thinking. Therefore, it makes all too much sense that in this book a shift is suggested from economy to culture. Of course, there is such a shift —at least for those who can afford it. Sadly, however, if there is anything that has been subject to exclusion in this kind of scholarship it is precisely any sense of realism.